← 20. Make Things Easier for Your Stomach: Chew Each Bite 20 Times! A walk around the block, in the woods or walking the Appalachian Trail. They are all especially good activities for your health. Even strolling through a mall or riding a bike contribute and probably in a different way than you would expect. The secret is in two places: the soles of your feet and your brain. One of the two effects is regarding the soles of your feet. 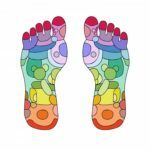 Many energy paths end in your feet, such as the bladder meridian, gall bladder meridian and the kidney meridian. In addition, there are very interesting reflex zones in your feet. Every part of your foot is connected to a part of your body. If you stimulate that spot of your foot, you stimulate that part of your body. This means that if you walk and flex your toes, you create wonderful stimulation for your reflex zones. The “corpus callosum” is in your brain. This is the bridge-like connection between the left- and the right-hand halves of your brain. The more you move, the stronger and better this connection becomes. The more active you are with your body, the better both halves of the brain cooperate and that is ideal. You can then combine the rational part to your creativity. If you are someone who is a thinker and has problems creating pictures or thinking up creative solutions, you are predominantly left-brained. Your brain synapses can use some power. This is also true for people who are depressed and whose thoughts run around in circles. People who work primarily using the right-hand side of the brain are visual thinkers and are less good at creating structure and order. They are very resourceful (creative) but have trouble finishing tasks or maintaining a set structure (hence, “chaotic”). You can affectionately call these people “creative scatterbrains”. This is what causes people to receive labels like ADHD or ADD. One of the easiest ways to strengthen the synapses of your brain is to walk. The left-right movement of your legs and arms strengthen the connections. That’s why many people feel so relaxed after taking a walk. Not so much because of the fresh air (which also helps, of course) but especially because you have strengthened the functioning of your brain’s synapses. Who isn’t familiar with the phenomenon that you suddenly look at a problem differently or make a decision after a walk? Many of the people who follow the MIR-Method report that they feel healthier. You stroke one hand over the other, which already stimulates the left and right-hand sides of your brain. Because of the way the 9 steps work together, you get more nutrients from your food, become healthier and feel like moving more. This is really good for your brain, which makes you feel mentally healthier as well! My question for you: do you also notice that you are more energetic and feel like exercising more because of the MIR-Method? Tell me about it below! Wishing you much exercise pleasure! P.S. Feel free to forward this article to other people! You’ll find the icons for Facebook, Twitter and Linked-in below. Thank you! P.S. 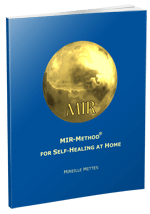 If you don’t know the MIR-Method yet, look at our home page, watch the full instruction video and ask for the free 6 weeks guidance emails. the mental count really work, and was from the MIR-Method. thanks. I am brazilian lady. Am so happy for you! May you still have hundreds of delightful walks ahead of you! I would love to see the MIR METHOD VIDEO for CHILDREN. I have followed instructions, but can’t seem to find the right page. Could you please send, or redirect me to it? I am sorry, but the MIR-Method video for kids no longer exists. It turned out that all the work with the MIR-Method needs to be done by adults. If the adults shake off their old burdens, children will lighten up! I use the MIR method from time to time… it’s like I stop when I do not need it anymore (?). I love doing it as it makes me in contact with myself. I have no health problem just some fears!!! Thank you for sharing! Yes, many people do that. They stop and pick it up again when they need it. Some people forget about it, because they do NOT want to be in contact with themselves, but with you it is clear that you enjoy renewing the contact. I hope all your fears will leave you and you will feel totally free!